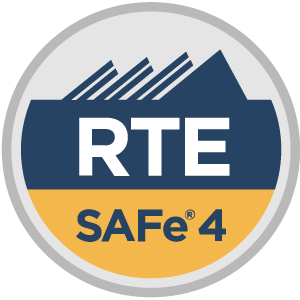 Scaled Agile’s SAFe® RTE exam maintains rigorous quality standards ensuring that those who have earned the certification are well prepared to effectively fulfill their role in a SAFe® enterprise. Attendees explore the skills needed to facilitate and enable end-to-end value delivery through Agile Release Trains (ARTs)—and learn how to build a high-performing ART through servant leadership and coaching—by becoming a SAFe® 4 Release Train Engineer (RTE). During this three-day course, attendees will gain an in-depth understanding of the role and responsibilities of an RTE in the SAFe® enterprise. Through experiential learning, attendees will examine the RTE role in a Lean-Agile transformation. They will learn how to facilitate ART processes and execution, coach leaders, teams, and Scrum Masters in new processes and mindsets. They will also learn how to prepare, plan and execute a Program Increment (PI) planning event, the primarily enabler of alignment throughout all levels of a SAFe® organization. Retake policy – second attempt on exam (first retake) can be done immediately after first attempt. Third attempt requires a 10 day wait; fourth attempt requires a 30 day wait. Each retake attempt is $50. Contact support@scaledagile.com for any retake questions.